Notaries attend the NNA 2013 Conference to learn more about the changing world of notarization, gain new skills, and meet colleagues from around the country. But after the seminars and presentations, it’s time for fun, and Austin is a great place to do just that. As the saying goes, everything is “bigger and better” in Texas and your host city certainly delivers! Within walking distance of the Austin Renaissance Hotel, guests can explore more than 40 restaurants and shops in a casual and comfortable tree-lined setting at the Arboretum at Great Hills, one of the premier outdoor malls in the area. For those who want to venture a bit further, downtown Austin features unique restaurants, boutique shopping, art galleries, museums, theaters and walking tours. Fans of Sandra Bullock can visit her two specialty restaurants, Bess Bistro, located in a bank vault that dates back to the early 1900’s, or Walton’s Fancy and Staple. And no visit to Austin would be complete without a stop at one of the city’s famous music halls such as The Broken Spoke honkytonk, or Ginny’s Little Longhorn Saloon. These are just a few examples of how Austin entertains its guests. Special excursions are being planned by the NNA for Conference attendees, so keep checking the Bulletin for more details. 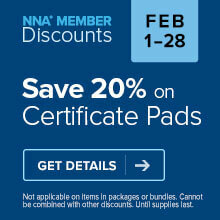 Don’t miss out on all that NNA 2103 Conference has to offer — make your reservation today.